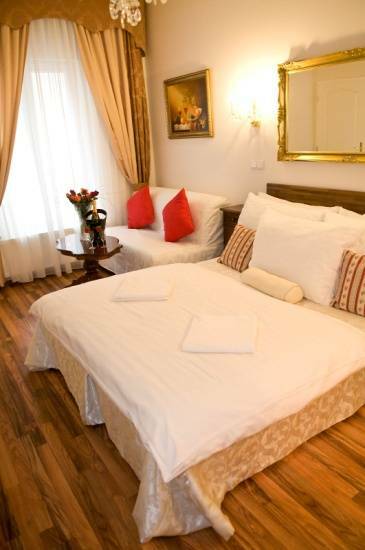 Hotel Donatello Prague is a nice family run hotel. The building, which now houses the Donatello Hotel, was built at the end of the 14th century. 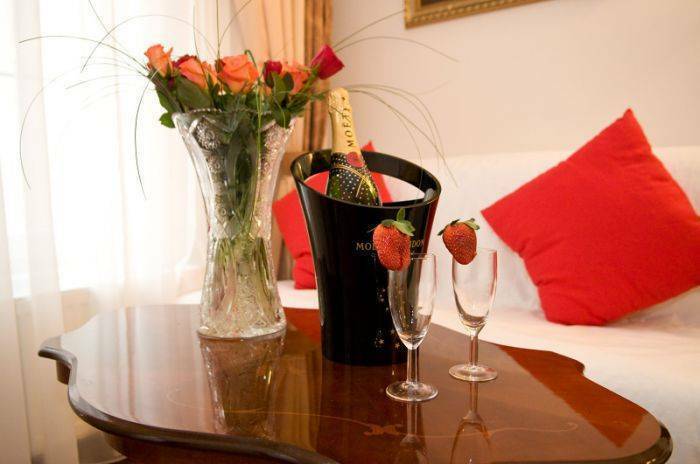 Recently refurbished and restored, it breathes history and offers romantic and friendly atmosphere, allowing its guests to explore the city with ease. 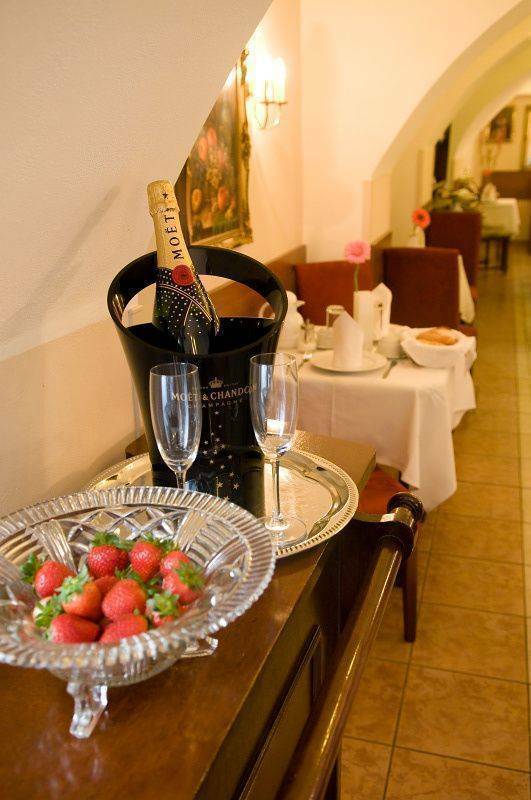 Family Hotel Donatello in Prague offers a variety of stylish rooms in different sizes and capacities. In addition, guests can enjoy the lobby bar with its great selection of Czech and international wine. 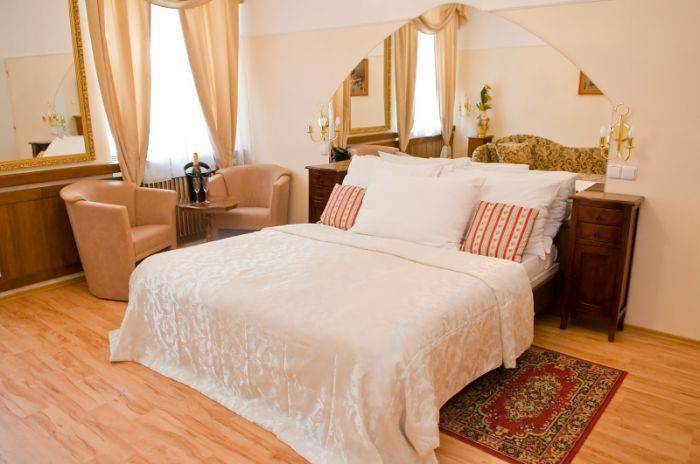 Hotel Donatello is situated in a quiet street in the city center, 50 meters from the tram and 200 meters from the Metro station. 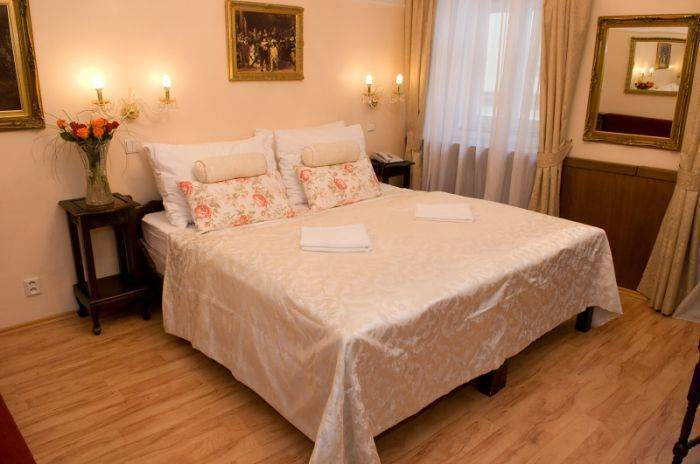 All major historical sites, the Old Town, Charles Square, Vltava river and other attractions are at a walking distance from the hotel. 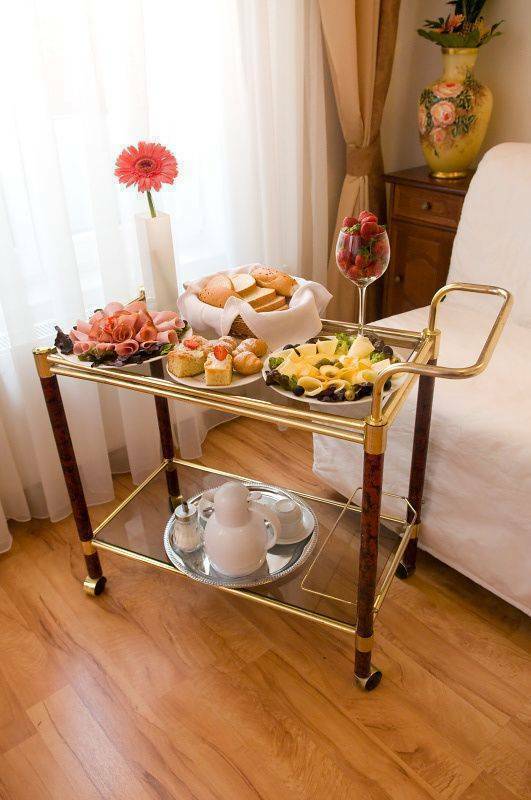 Breakfast buffet is served every day from 7:30 till 10:30 hours. The lobby bar offers the guests snacks and alcoholic or non-alcoholic drinks, 24/7. The hotel reserves right to preauthorise credit cards prior to arrival. Cancelation deadline free of charge is 4 days prior to arrival. In case of late cancelation or no show 1st night will be charged. Cancelation deadline within international Holidays free of charge is 10 days prior to arrival. In case of late cancelation or no show 1st night will be charged. From Prague airport: Take bus 100 to Zlicin metro stop. From there, and take the B line direction Cerny Most to Karlovo Namesti metro stop. The hotel is at a 4-minute walking distance from the station. The ride takes about 45 minutes and the ticket costs EUR 1. 00. From Prague's Main Train Station (Hlavni nadrazi): Take metro line C direction Haje to metro stop I. P. Pavlova. From there, you can take the tram direction Karlovo Namesti or walk to the hotel for about 7 minutes.